We’ve got a heap of Balance Changes heading your way, along with some adjustments to the Mayhem structure and some other improvements. Arcane Bolt was in general underperforming and wasn’t really worth considering, as it wouldn’t have enough of an effect for its mana cost against slightly larger units. By increasing its kill threshold it will be able to take down more mid-range units and help tackle larger singular units thanks to its lengthy stun. 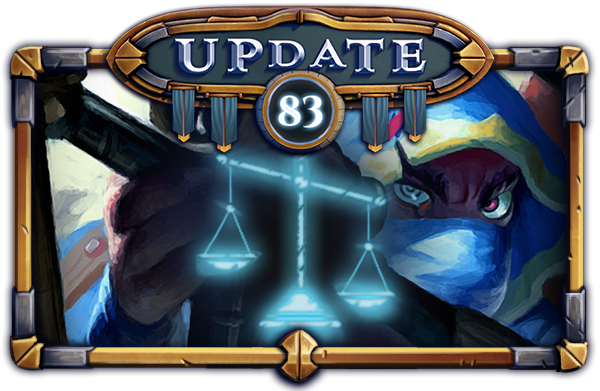 Rather than create a massive redesign of the Archer summoning that’s key to the identity of the card, we’re opting to try making Thelec himself much more dangerous to go up against, so that there is still value to be obtained from him. An increase from 60 to 70 damage adds a lot of additional DPS to him, which should make him a more prominent threat even if the Crystal Archers are eliminated. Ghost Turret was originally nerfed from 8 range to 6 as it became too much of a “answer everything” card. We don’t really want to push it back to that role, so we’re opting to give it an identity as the tanky close range turret that still has its excellent DPS, making it a good answer to melee minions at the expense of not taking the bridge. Styxi has been a fan favourite of some for a long time, but he always suffered too much against midrange matchups for 6 mana. The 10 second depression time was brutal and he was only good against Swarm or multi-unit minions as a result, so we’re hoping to make him a bit more consistent and playable with this. Gax is a legendary card that has been underperforming for a long time despite some niche deck usage. We believe that by giving it an extra 25 Damage he should be able to have that much more of an impact on the board state, even on minions he doesn’t outright kill. At the same time we’re wary of over-buffing him, since he can have such a massive impact. What this means in realistic terms is the speed at which Ghost possesses a unit will increase. Ghost is a risky card to play, but the rewards for it are great - We’re hoping a buff like this can help balance out the risk and reward factor of it. Battle Shi-Hou suffered a lot from its previous big nerf after its release, being too inconsistent to consider putting in a deck. It was simply too slow at lower stacks, struggling to deal with most common matchups even after the recent HP buff it was given. We hope that by increasing the Base Attack Speed his performance with lower amounts of stacks should greatly improve, while his high stack attack speed will remain relatively the same. Generally seen as one of the worst buildings for a while, Scrat Launcher was far too easy to kill at 5 mana since it had to be played so close to the bridges that any ranged unit could attack it with ease. With this HP buff it should be more resilient to ranged chip damage while still remaining vulnerable to said units, or a handy Bazooka Scrat. 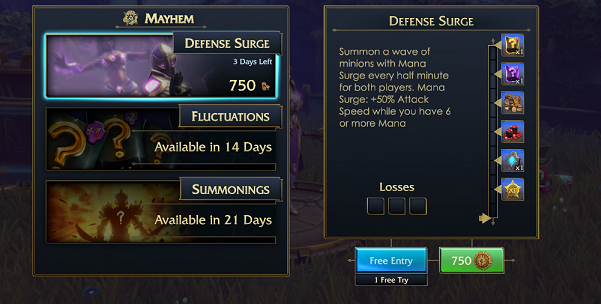 There will no longer be a Deluxe Mayhem option that requires rubies to enter. The regular Gold-based Mayhem will cost 750 gold and have rewards that are roughly a mid-point between the original and Deluxe Mayhem options. The free try will still have no Glory requirement. Mayhems will happen once a week and last for 3 days. These changes are largely experimental and are not set in stone for the future, so we’d love to hear your feedback on them after you’ve given it a try. 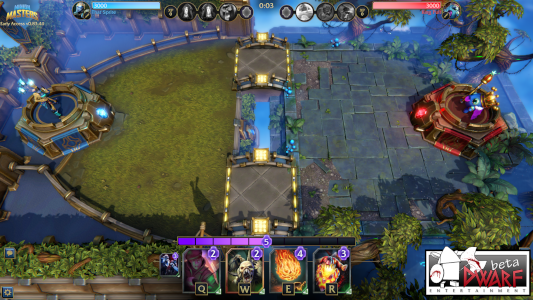 The Streamer UI has been modified based on user feedback. The blue and red back panels are gone, and the positions of the name and health bars have been swapped. Additionally, the Mana Bar has been placed on top of your hand. Moved the replay GUI so it doesn’t conflict with the Streamer UI. The throw chat command has been adjusted so that the thrown objects don’t stick to the streamer arena as much. King Puff’s second perk, Buff Dealer, has been renamed to King Buff. The Leaderboard has been extended to show the top 150 players in each mode. Fixed Gax the World Bomb’s egg having 40 health instead of 50 - Thanks Memfisto and Khazlariko! Fixed Auburn Milloween’s hand sparks being the wrong colour. Fixed Empowered Soul Stealer’s description incorrectly stating he started with 0 souls - Thanks Excaliber80 & myst! Fixed Blood Infested Settsu’s description being incorrect. Fixed an issue where you couldn’t spectate a live match that was already being spectated - Thanks to the King Puff Cup! Fixed Wheel of Doom having a ragdoll on low quality settings - Thanks Rabbit! Fixed players not being able to see each other’s pings - Thanks Digniss, Omicron666, the_red_soul and Macstabby! Thelec is still pretty weak as 10 mana with useless archers that die in a second . Why don't you do anything about the colossus? He totally needs to be nerfed. Look at here this site is awesome.